Here is the scissor fob nearly complete. 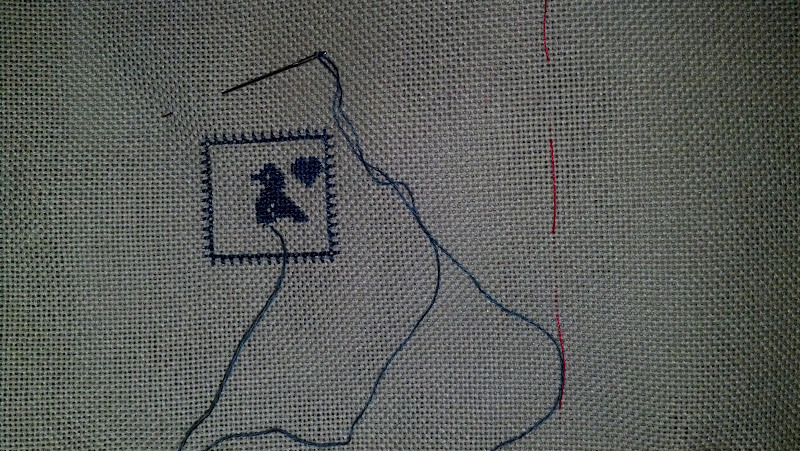 Itty bitty bird has just a few more rows and my initials go to the left in the open space. I think, perhaps I will dig out something that is over 2 to mess with during my lunch break, I stare at a computer all day at work so I'm sure the over 1 will just further tire my eyes. This I can save for evenings of weekends when I can pull out the Ott light to minimize frogging from missing holes.